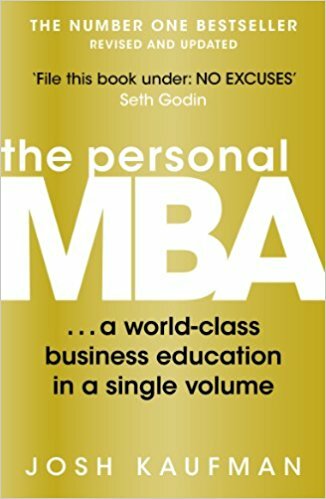 This revised and expanded edition of the bestselling book, The Personal MBA by Josh Kaufman, gives you everything you need to transform your business, your career or your working life forever. An MBA at a top school is an enormous investment in time, effort and cold, hard cash. And if you don’t want to work for a consulting firm or an investment bank, the chances are it simply isn’t worth it. Josh Kaufman is the rogue professor of modern business education. Feted by everyone from the business media to Seth Godin and David Allen, he’s torn up the rulebook and given thousands of people worldwide the tools to teach themselves everything they need to know. The Personal MBA teaches simple mental models for every subject that’s key to commercial success. From the basics of products, sales & marketing and finance to the nuances of human psychology, teamwork and creating systems, this book distils everything you need to know to take on the MBA graduates and win.